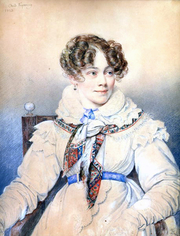 Sophie Rostopchine was a daughter of the governor of Moscow, where she grew up. Her father fell from favor in 1817, and the family went into exile to France. In 1819, she married Eugène, comte de Ségur, and the couple had 8 children. The comte preferred to live in Paris, while Sophie spent most of her time at the Château des Nouettes, their country estate in Normandy that would become the setting for many of the stories she would produce. The comtesse de Ségur was 58 years old when she launched her literary career by publishing some fairy tales. She then went on to write about 20 realistic novels for children, many of which are still read today. Her grandson, Pierre Marie Maurice Henri, marquis de Ségur, became a well-known historian and biographer. Comtesse de Ségur is currently considered a "single author." If one or more works are by a distinct, homonymous authors, go ahead and split the author. Comtesse de Ségur is composed of 97 names. You can examine and separate out names.